Sign-up deadline: This tour is now sold out. So sorry! 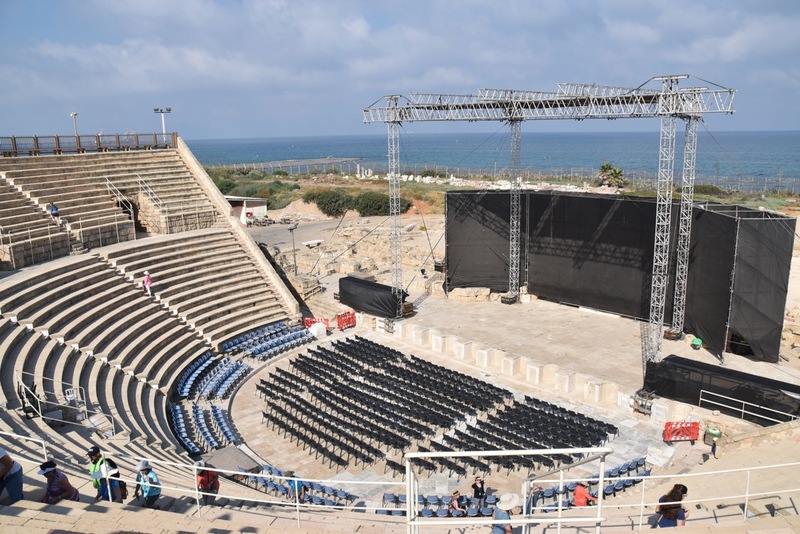 After an abundant breakfast buffet, we journey north along the coast to Caesarea, built nearly 500 years ago by King Herod. We walk through the ancient theater, the Crusader city and the fantastic aqueduct that served as a back drop for the book of Acts. From here we depart to Mt. Carmel (1 Kings 18), site of Elijah’s confrontation with the prophets of Baal. Then we proceed to Megiddo (Armageddon; 1 Kings 9:15; Rev. 16:16). 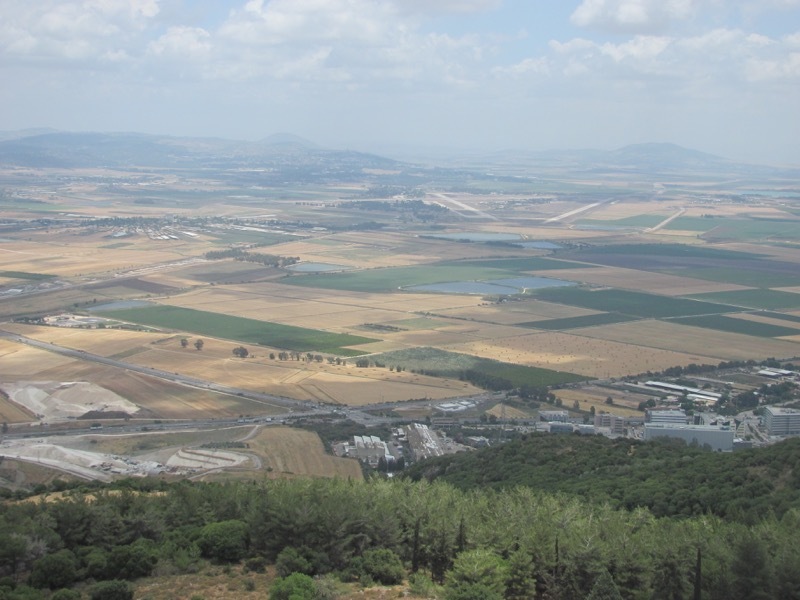 Across the Jezreel Valley is Sepporis, a large city in the days of Jesus. We will see the Cardo (main Roman street), the theater, and many mosaics, including the “Mona Lisa” of the Galilee. 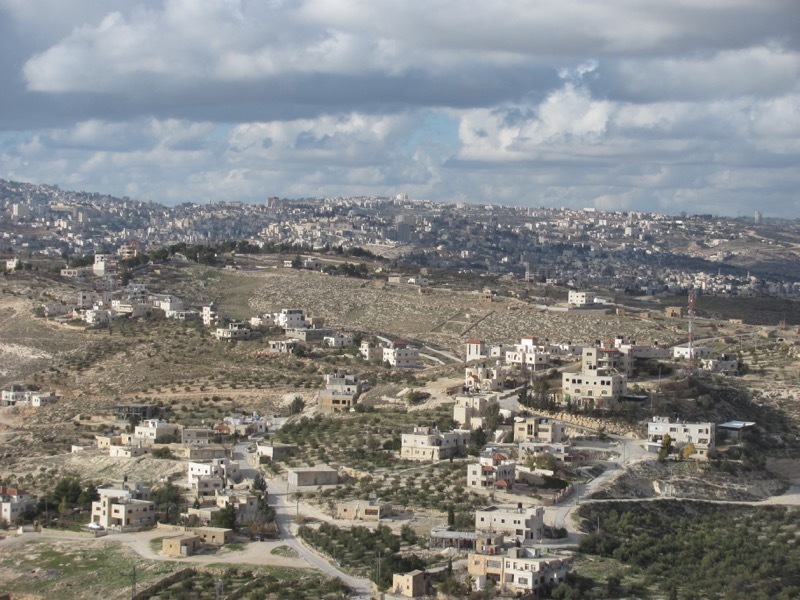 We end the day by driving to the precipice of Nazareth (Luke 1 and 4). Here we read about Jesus’ ministry in this area. Driving through Cana (John 2), we finally arrive at the outskirts of Tiberias (John 6:23). We arrive at our “kibbutz-hotel” located right on the Sea of Galilee shoreline. After dinner, we enjoy sitting together for an optional time of fellowship and worship. 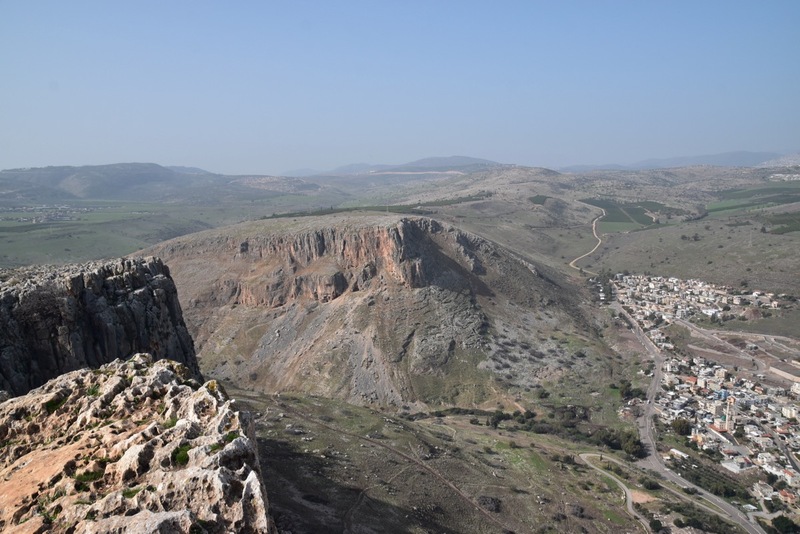 We begin the day by visiting Arbel, a mountain on the northwest corner of the Sea of Galilee. We will have the option to hike to the top of this 800-foot cliff (the bus will take others to the top from the other side). The view from the top is the best there is of the whole Sea of Galilee below! From here we drive to Magdala. We will see a first-century synagogue where Jesus no doubt would have taught. Next is another New Testament city, Capernaum. This was one of the three cities condemned by Jesus (Matthew 11) and served as the home center of ministry for Jesus. We will visit the 4th-5th century synagogue here, built out of limestone. Here we read from Mark 1 and 2 in the 4th-5th century synagogue. Next, we enjoy a boat ride on the Sea of Galilee, with a quiet and peaceful worship service. 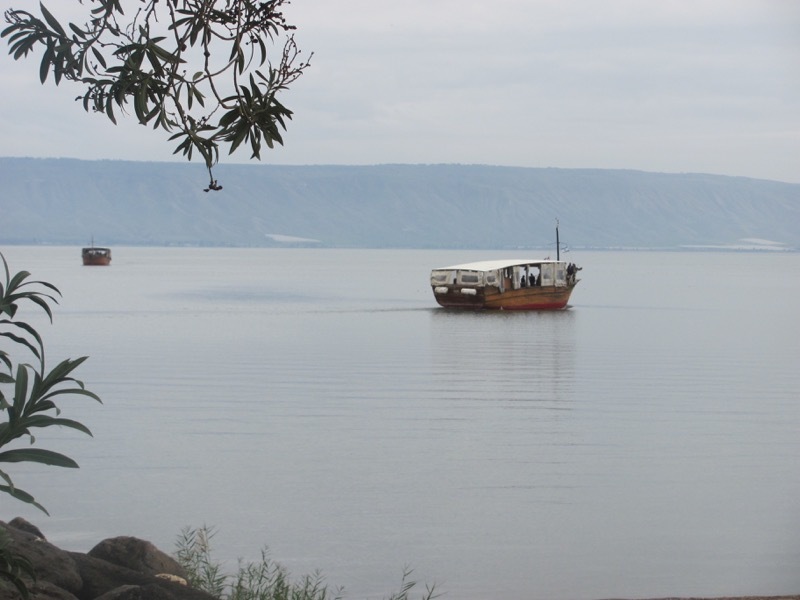 Upon landing, also see the “Jesus boat” from the first century, a vessel found here along the shores of Galilee in 1986. 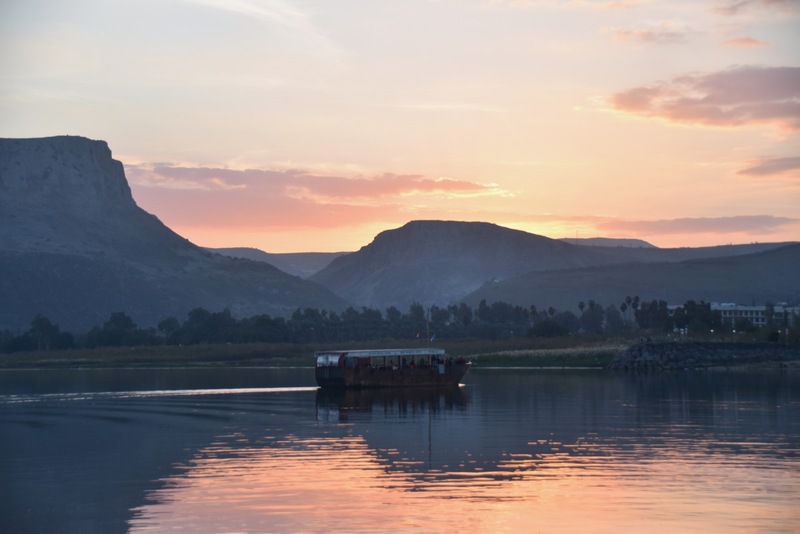 Next, we travel to the southern end of the Sea of Galilee and enjoy optional baptism in the Jordan River at Yardenit. We end the day by reading from Matthew 5 on the Mount of Beatitudes. We walk down the pathway, recollecting the transforming words of Jesus shared in this place. We return to our hotel for dinner and an optional gathering once again by the water. 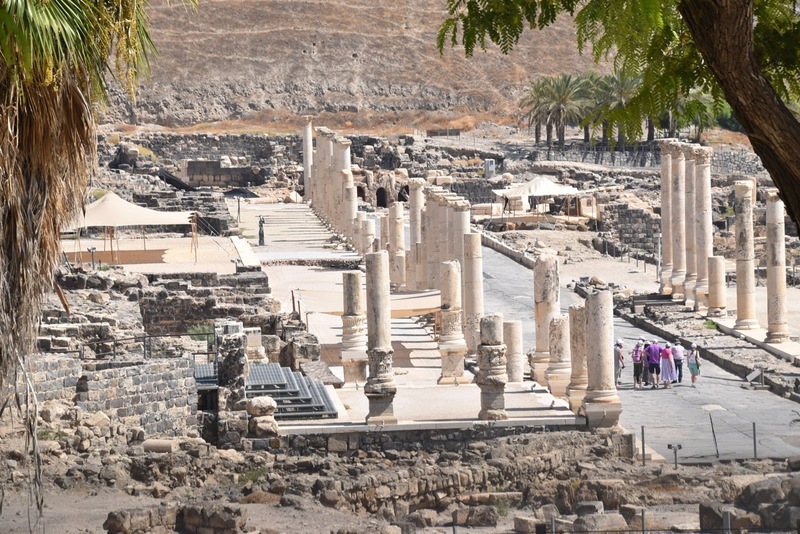 We begin the day by driving south to the Jordan Valley to the site of Beth Shean (1 Sam. 31), an impressive Roman city of the Decapolis. You will have the option to climb to the top of the Old Testament tel for a wonderful view of the region and the Roman city below. Nearby we will enjoy a stop at a national park called Sachne. 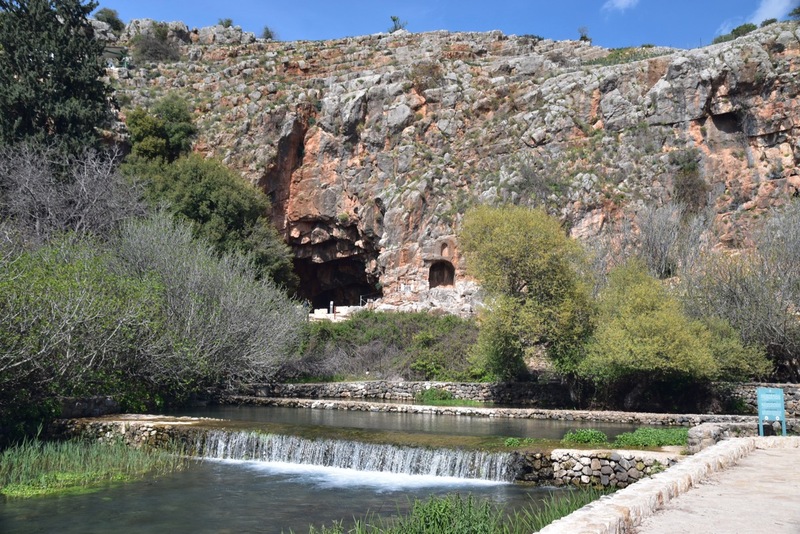 This is a natural swimming hole fed by the spring of Harod (Judges 6- 7). From here we continue driving down the Jordan River Valley to Jericho. Here, we will see portions of the fortifying wall that supported the mud-brick walls that “came tumblin’ down” (Joshua 6).” We end the day by driving south along the western shore of the Dead Sea to our hotel. Before dinner will have a chance to float in the Dead Sea. We have dinner together and a free evening. After breakfast, we begin driving northward to Masada. Here we will ascend high upon the wilderness mountain by way of the cable car to the fortress built by King Herod. 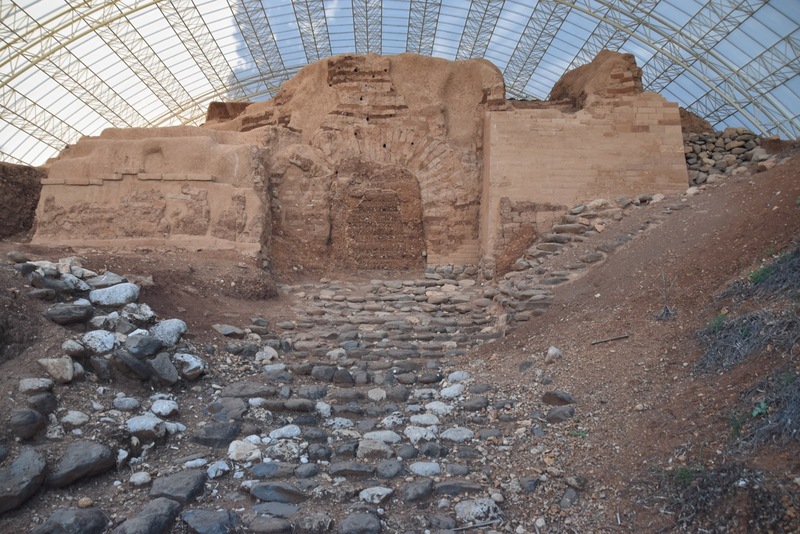 We survey the ruins of the fortifications, waterworks, synagogue, temples and palaces. An optional walk down the Snake Path will be offered. Our next stop will be Ein Gedi where David hid from King Saul. We will enjoy a walk back to the waterfalls, hopefully seeing ibex and cooneys along the way. You will have the chance to get wet under one of the water falls. Finally, we visit Qumran and the se lement of the rst century sect known as the Essenes, the authors of the Dead Sea Scrolls. During the lunch hour, you will have the chance to hike to the famous Cave 1 where the first scrolls were found in 1947. From here we ascend 4,000 feet towards Jerusalem. 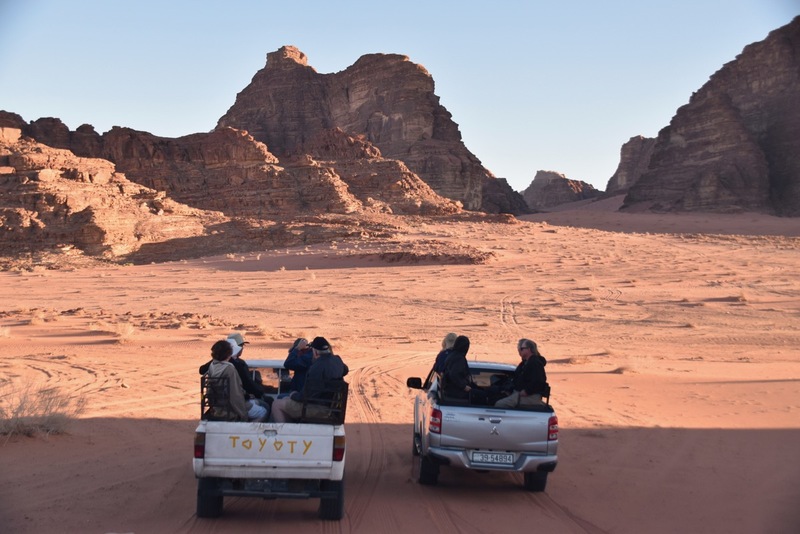 For sunset, we will make a quick stop to enjoy an overview of the Wadi Qelt and the Judean Wilderness. We will hear the wonderful words of Isaiah 40 and Psalm 23 in the context of the backdrop of the desert. We travel the rest of the way to Jerusalem for dinner and our first optional walk to the Western Wall. 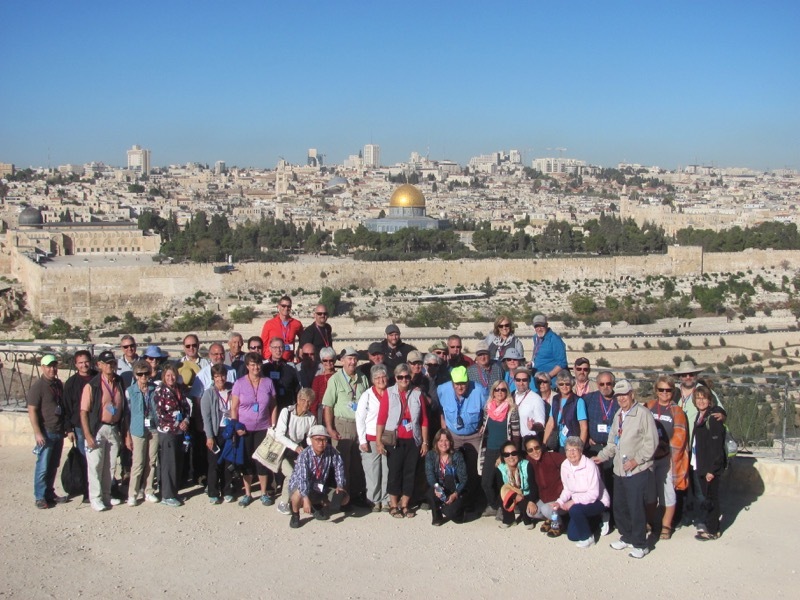 We start the day with an orientation to Jerusalem from the Mt. of Olives. We then follow the traditional Palm Sunday road to the church known as the Dominus Flevit(“the Lord weeps”). After viewing the Golden Gate, we walk downhill to Gethsemane, where we take me to meditate on the Gospel text. From here we enter the Old City where we first will visit the Pools of Bethesda and St. Anne’s Church, perfectly preserved from the Crusader period with remarkable acoustics. We then follow the Way of the Cross (Via Dolorosa) to the Holy Sepulcher, stopping along the way to consider all that Christ endured on his way to His crucifixion. In the afternoon, we visit Herodium. Located on the edge of the Judean Desert, this is where Herod the Great was buried. We then drive into Bethlehem and visiting the Shepherds’ Field. We will also stop at an olive wood shop and store. We then return to our hotel in Jerusalem. We enjoy a free evening for walking or shopping. Today we join together for a service project with Bridges for Peace. We will serve needy Israelis right here in Jerusalem. In the mid-afternoon, we will return to the Old City and enjoy a walk on the Old City rampart walls or enjoy some free time. We return to the hotel for dinner and another optional walk. We begin the day with a visit to the City of David and the new excavations of David’s palace. Walking down through the excavations and Warren’s Shaft, we see the massive water tower that guarded the Gihon Spring. Here, those who want to can walk through the water of Hezekiah’s Tunnel (1,720 feet long). Others will walk through the “dry” Canaanite tunnel. Both groups converge at the Siloam Pool where we listen to the story of John 9. From here we will provide the option to walk to the southern temple excavations through a 1,300 foot Herodian drainage tunnel. Here we will see massive stones erected by King Herod, even the “pinnacle” of the Temple. We will also sit on the very steps used by Jesus and His disciples. Following lunch in the Jewish Quarter and a few free hours (e.g. to shop, walk on the rampart walls, etc.) 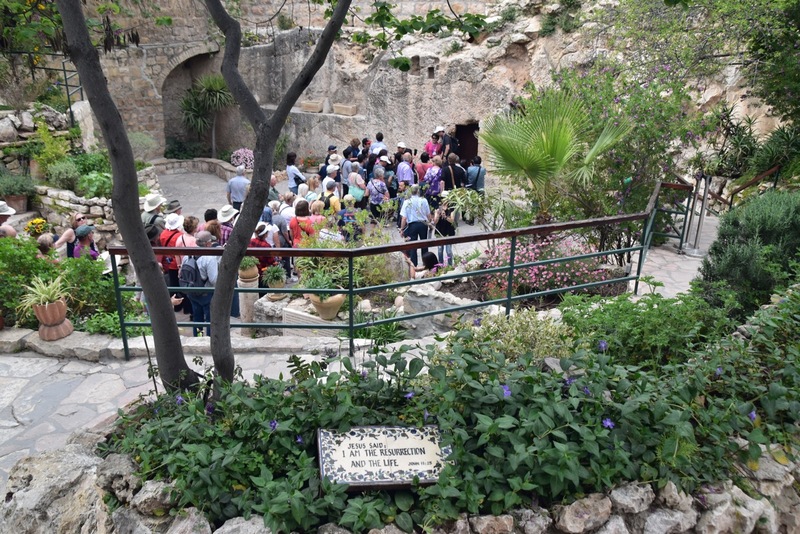 we end the day with a visit to the Garden Tomb. We will see an alternative location for the crucifixion and burial site of Jesus and enjoy a special time of Communion and worship. Bussing back to the hotel to freshen up, we conclude this part of the tour with our Farewell Dinner. Following dinner, we drive to the airport for our flight home (those who are continuing on the extension will return to our hotel for overnight). We arrive back in the U.S.A after our night flight home. The end of a life-changing journey of a lifetime! We begin the day by entering the Old City and visit the Western Wall. We will walk about 350 yards along the Western Wall, seeing massive stones placed 2000 years ago by King Herod. One stone (called the “Master Course”) weighs about 550 tons! From here we visit the Jewish Quarter. We also visit Shorashim where we will hear Moshe, on Orthodox Jew, talk about his faith. 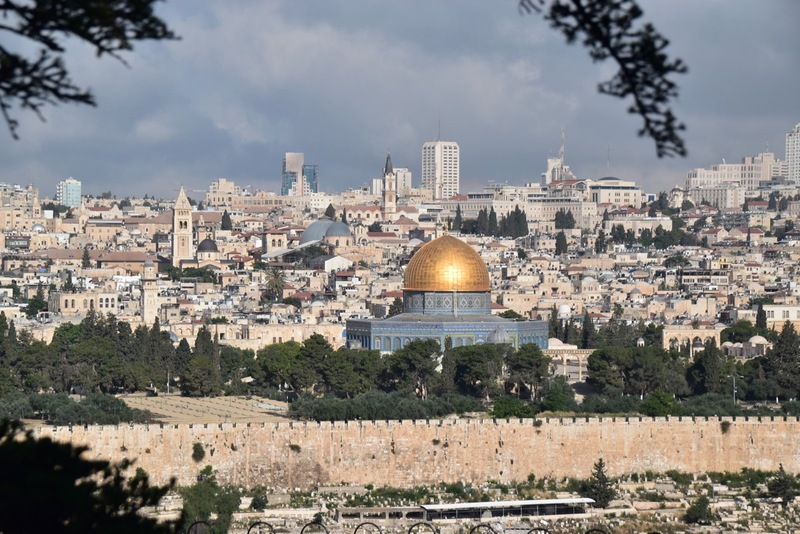 Following some free time and lunch in this area, we drive out to West Jerusalem where we visit the Israel Museum and the spectacular Jerusalem Model of the 2nd Temple Period as well as Yad Vashem and the Holocaust Memorial. We return to our hotel for dinner and overnight in Jerusalem. This will be a free evening. We begin the day by driving south to the Jordan Valley the Allenby Bridge. Here we make the crossing from Israel to Jordan. After border formalities, we meet our Jordanian guide and bus and drive to Mt. Nebo to stand where Moses stood and viewed the Holy Land (Deut. 34). Here you can take in a breathtaking view across the Jordan Valley and the Dead Sea. We continue to Medaba dubbed the “City of Mosaics” due to the vivid sixth century Byzantine mosaic map in the church of St. George. In the late afternoon, we drive south down the Desert Highway to Petra, where we spend the night. We arrive at our hotel and enjoy a late dinner together. 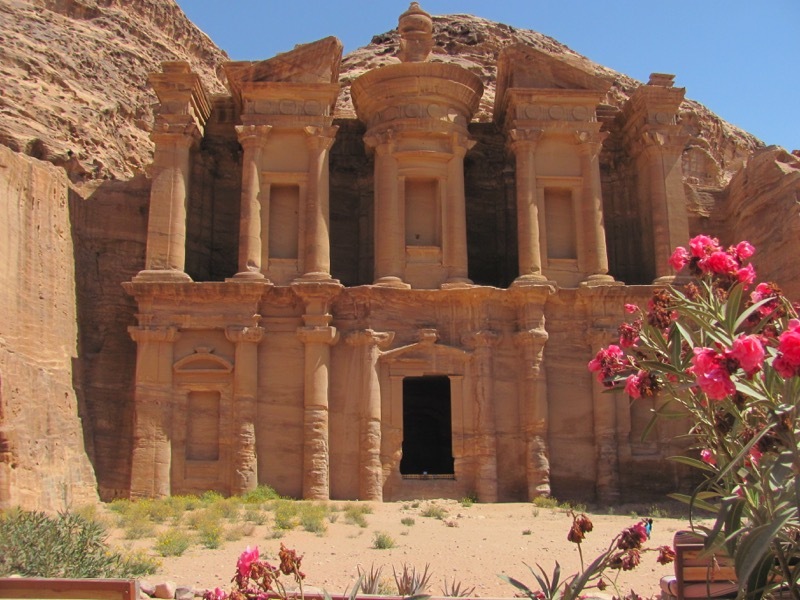 We arrive this morning at the entrance of Petra and spend almost 7 hours within this red-rose ancient city. We are in the heart of the Seir Mountains, Land of Edomites, mentioned in the Bible in Genesis. These mountains house the Aaron Peak, the highest in Petra and the burial place of Moses’ brother Aaron. A walk through the Siq, the main entrance to Petra, brings us to the first monument “The Treasury” “Al-Khazneh” a dramatic site. 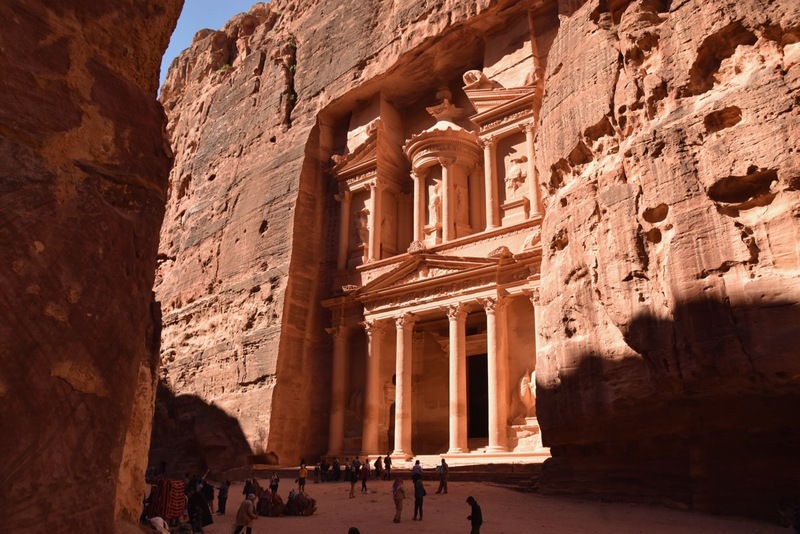 This well-preserved monumental tomb appears in the movie “Indiana Jones and the Last Crusade.” A walk further down through the outer siq with all of its tombs and burial chamber brings us to one of the largest theaters in Jordan. 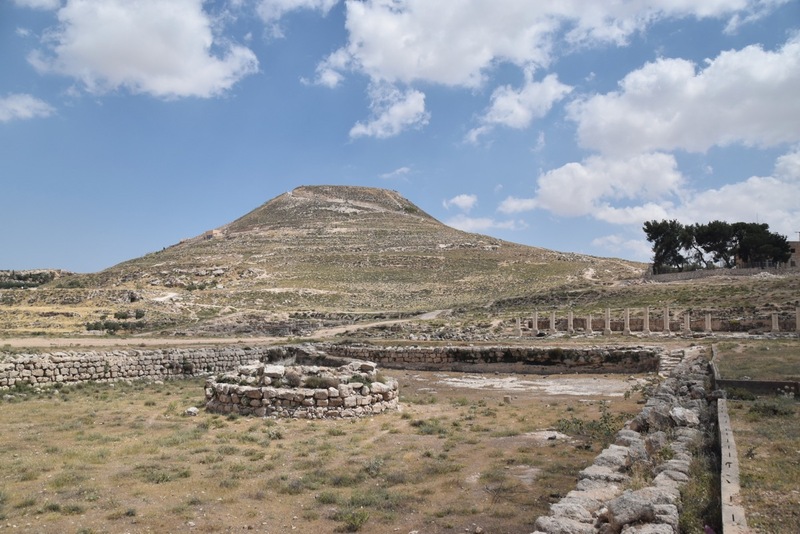 A 3000-seat theater from the early first century is carved in the sandstone mountains at the bottom of the High Place of Sacrifice Mountain. Apparently, some sacrificial rituals had taken place here. From here we walk uphill to the Royal Tombs for a great view of the lower part of Petra with all its Roman remains. There will be the option to walk to the “Monastery” of Petra and/or the High Place. Leaving the site of Petra in mid-afternoon, we drive south to Wadi Rum. Here we enjoy an amazing jeep ride in the desert. We then stay in Wadi Rum at Captain’s, a Bedouin Village. We enjoy dinner together and a devotional time under the stars. It will be a unique experience! Following breakfast, we leave Wadi Rum and drive to the southern border to cross back into Israel. 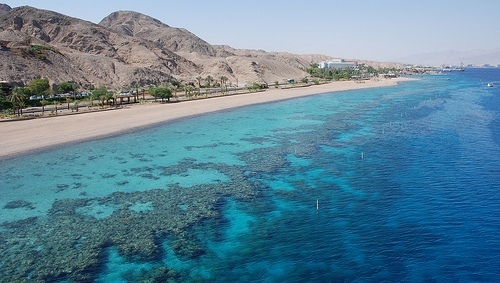 Greeted once again by our Israeli guide and bus, we drive to the Red Sea and enjoy snorkeling in the crystal-clear water. You will be amazed to see the colorful coral and fish. Next, we drive north through the Aravah (Rift Valley) to Timnah. In ancient days, this was a copper mine of the Egyptians. 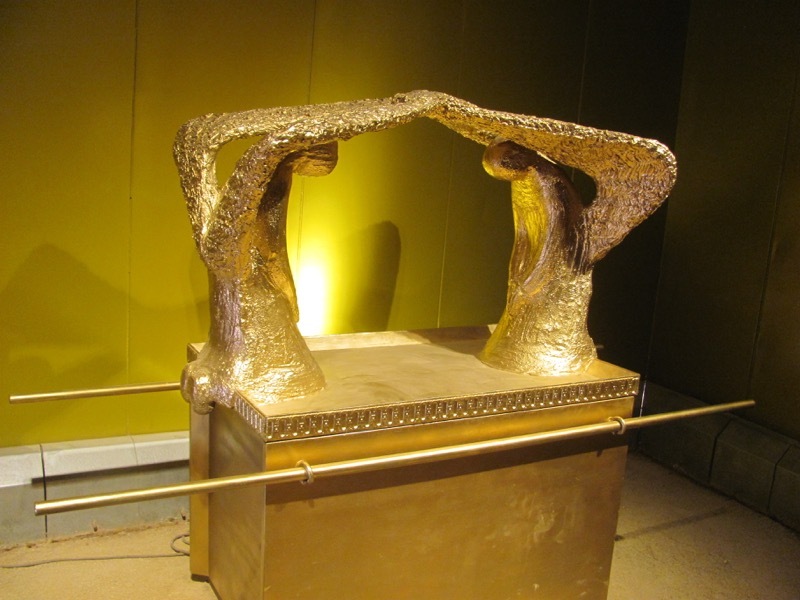 We will also walk through a full-size replica of the Old Testament Tabernacle. 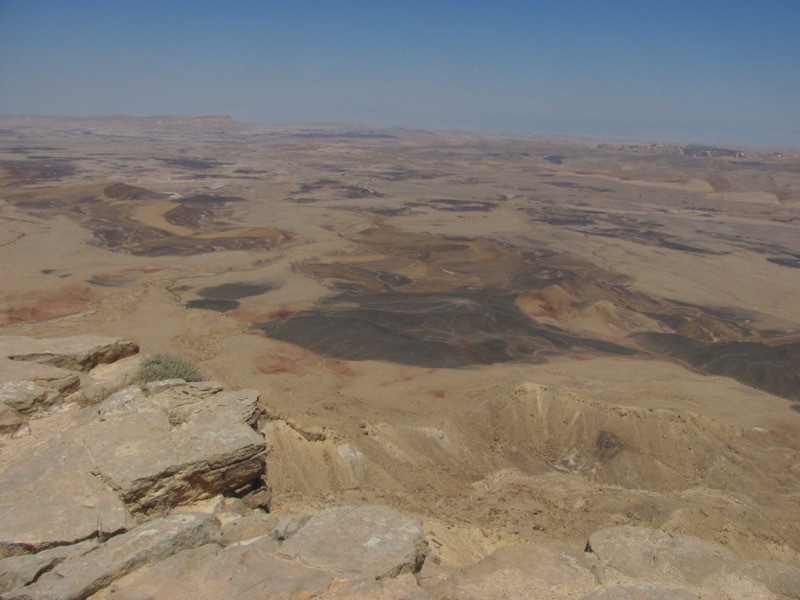 Continuing north, we drive then drive through the Machtesh Ramon, Israel’s “Grand Canyon.” Continuing through the Negev, and up through the Shephelah (Lowlands), we will make our way back to the Tel Aviv area. Following a stop for dinner, we will make our way to the airport for our night flight back home. DAY 14 – SATURDAY, JUNE 29: ARRIVAL BACK IN THE U.S.A.
We arrive back in the States today. What an incredible trip! Praise be to God for a life-changing experience! *While we do our very best at making sure all items listed in your itinerary are included, there are mes when conditions beyond our control affect your program/itinerary, including but not limited to air carrier changes, delays, weather, political climate, time constraints, or changes by your tour leader and tour guide. Chorazin was a city located on the NW corner of the Sea of Galilee in Jesus’ day. It was one of three cities cursed by Jesus for their unbelief. Today the ruins primarily date to the 3rd century AD. This includes the synagogue, although the foundations of the 1st century one was located underneath. The city was made from basaltic stone. At the site we often see the coney (rock badger).